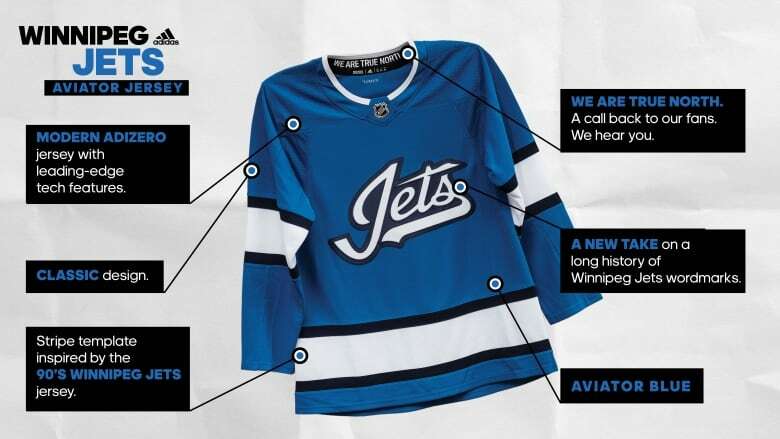 The latest addition to the fall fashion scene made its debut Friday night, as the Winnipeg Jets unveiled their third jersey. Designed by Adidas, the sweater features a stylized wordmark inspired by Jets uniforms of the 1990s. 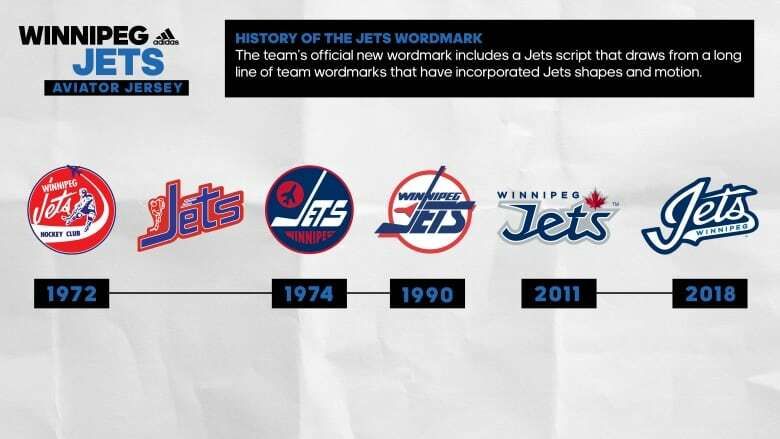 The script logo incorporates the outline of a fighter jet crossing the letter T in the team's name. The dominant colour on the new jerseys is aviator blue, accented by navy blue and white striping. The words "We Are True North" are emblazoned inside the back of the neckline. 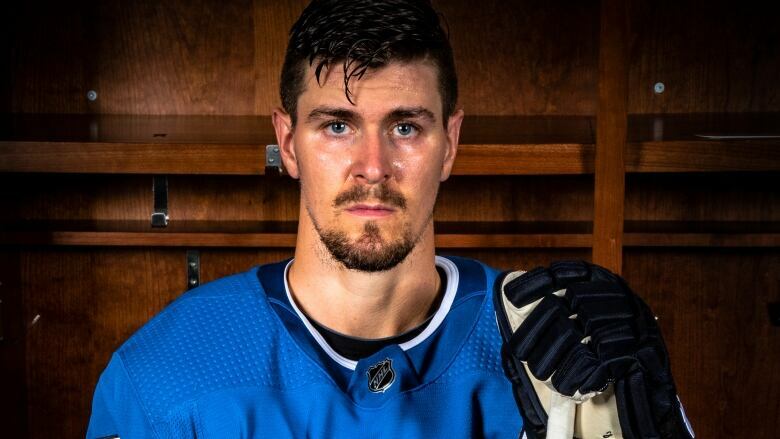 The Jets say they plan to wear the new jerseys 14 times during the upcoming season.